For many reasons, the French and the Americans hold a special, oversized, mythic place in the story of film criticism. Unfortunately, this has meant that histories of cinema writing in other parts of the world have remained less explored, more hidden. This is true not just in the less affluent (and thus, less culturally influential) “global South” but even within the heart of the First World. John Gibbs’ ambitious and fascinating book, The life of mise-en-scène: Visual style and British film criticism, 1946-1978, narrates a history of post-WWII British film criticism, recounting the critical debates that powered it—specifically, debates that centered on visual style. Robin Wood once suggested that film criticism in Great Britain developed mainly through groups of critics, each group revolving around a journal or magazine. The focus of Gibbs’ book is these publications and the critics associated with them. The book examines not only the work that appeared in the most prominent magazines—such as Movie and Sight and Sound—but also lesser-known but significant ones like Sequence, Oxford Opinion, Monogram, and others. In the ‘50s, many Sequence critics started writing for Sight and Sound. In the early years of the decade, Gibbs notes, “the Sequence impulse was alive and well.” But by the end of the decade, Sight and Sound had transformed into a conservative and staid journal. The growing disappointment with Sight and Sound within the British critical community was due to at least two reasons: the journal’s attitude of cultural snobbery (evidenced by its disinterest and disdain in, especially, Hollywood cinema), and its unsophisticated critical/analytical methods. Enter the journal Movie, which grew out of the undergraduate publication Oxford Opinion and forms the heart of Gibbs’ book. Founded in 1962, Movie was published and edited by Ian Cameron; the editorial board also included three important figures: Mark Shivas, V.F. Perkins and Paul Mayersberg. Among the other contributors to early Movie were Robin Wood, Andrew Sarris, Charles Barr and Lawrence Alloway. The shared purpose of the Movie writers was to produce a detailed criticism that was seriously attentive to film style. In today’s environment of digital media, home viewing, and random-access capability, criticism that relies on fine-grained stylistic analysis is both ubiquitous and relatively easy to perform. But back in a time when availability of films was confined mostly to commercial theatrical runs, something as simple as checking a detail required the critic to return to the cinema (if, by good fortune, the film still happened to be playing!). In fact, the detailed work of film analysis we see performed today is partly a result of the legacy of Movie’s example. One of the many valuable contributions of Gibbs’ book is that it draws upon materials either rare (such as back issues of journals hidden away in dusty archives, unavailable on the Internet) or new (most excitingly, the extended interviews he conducted with key figures such as Perkins and Cameron). The interviews with Perkins, especially, are revelatory. Perkins is a famously perfectionistic writer with demanding standards that he applies equally to other critics’ writings and his own. He doesn’t publish his work casually—and will often spend a great deal of time, sometimes years, on a piece before he is satisfied enough with it to let it see the light of day. For this reason, it is a pleasant surprise to hear a somewhat different Perkins in the interviews: a conversational raconteur, but full of insights nevertheless. Bazin is so important for offering the sense that cinema isn’t something we understand. Whereas the tone of Arnheim, Balazs, Lindgren and so on, is that we do understand cinema and this is how we understand it. With Bazin you get the sense ‘no, we don’t understand it, so let’s start trying’ which is more enabling. The idea that you might take a committed interest in the violence of a violent movie, within the very staid conditions of English culture, was quite an incitement. The differences in temperament and sensibility between the Movie writers and the French are also interesting and instructive. An amusing but revealing anecdote centers on the publication in Movie of the English translation of Jacques Rivette’s famous Cahiers du Cinéma essay on Howard Hawks. The Movie version is not a faithful translation and reproduction (it is humorous to read Cameron opine: “because we felt it contained quite a bit of garbage”). the final climax of Red River, where the spectator no longer understands his own feelings, wondering whose side to take and whether he ought to be amused or afraid, sets every nerve quivering with panic. the climax of Red River, in which we are no longer sure of our own feelings, wondering whose side to take and whether we should be amused or afraid, sets our every nerve quivering with panic and gives a dizzy, giddy feeling like that of a tightrope walker whose foot falters without quite slipping, a feeling as unbearable as the ending of a nightmare. There seems to be a law behind Hawks’s action and editing, but it is a biological law like that governing any living being: each shot has a functional beauty, like a neck or an ankle. The smooth, orderly succession of shots has a rhythm like the pulsing of blood, and the whole film is like a beautiful body, kept alive by deep, resilient breathing. These editorial changes are but a small, anecdotal detail, but they hint at the dramatic divide in sensibilities between the two styles of critical writing—despite their shared powerful attraction to a common “foreign object,” American popular cinema. I’m curious to know: Are there other examples of histories of film criticism? The four volumes of collected writings from Cahiers du Cinéma, with useful framing narratives provided, especially by Jim Hillier, are one such example. I’d love to learn of more. -- There are several short videos of V.F. Perkins collected in two posts by Catherine Grant (from a few years ago): here, and here. Also: Movie-related posts I've put up here in the past: "Movie vs. British Cinema"; and "The Rebirth of Movie". -- Filmmaker/cinephile/critic Dan Sallitt recently tweeted: "Wondering if it's just a blip or whether low-budget US indies are the most exciting thing in world cinema now." This page collects his year-end lists of favorite films. -- Christian Keathley and Jason Mittell recently led a 2-week NEH Workshop at Middlebury College on "videographic criticism". Melanie Kohnen rounds up the workshop, along with links to some of the audiovisual essays produced there. -- Jonathan Rosenbaum on Pedro Costa's Horse Money. Via Jonathan: Manoel de Oliveira's last work, the 15-minute, wordless "One Century of Power" is on YouTube. -- Adrian Martin on David Cronenberg at Filmkrant. -- The new issue of the journal NECSUS is out (the main theme is "Animals") and includes a section on audiovisual essays edited by Cristina Álvarez López and Adrian. -- Several articles by film scholar Joe McElhaney (on Hawks, Sturges, Fassbinder and Malick, among others) are now available to download on his Academia.edu page. -- Kristin Thompson and David Bordwell from this year's Il Cinema Ritrovato in Bologna: 1, 2, 3, 4. More: Tom Paulus reports from Bologna: on the Technicolor program; and on Malick and McCarey. -- Adam Cook interviews Kent Jones on his new documentary Hitchcock/Truffaut. -- William Caroline on the Marguerite Duras exhibit at Centre Pompidou in Paris, in Film Quarterly. -- Lots of good filmmaker/performer interviews at Little White Lies. -- Avant-garde filmmaker Laida Lertxundi's films Utskor: Either/Or (2013) and We had the Experience but Missed the Meaning (2014) are available on Vimeo. (Thanks, Matthew.) Also: Phil Coldiron on the filmmaker in Cinema Scope; and interviews with her in BOMB and Frieze. -- "The Anthropoid Condition," an interview with scholar John Durham Peters, whose new book, The Marvelous Clouds: Toward a Philosophy of Elemental Media, is "an ambitious re-writing — a re-synthesis, even — of concepts of media and culture." -- This is fabulous: "Daughter Crushes Father in Epic Beatbox Battle"! Bell M. Feminism and Women’s Film Criticism in Post-war Britain: 1945-1959. Feminist Media Studies 2011, 11(4), 399-416. Bell M. Film Criticism as "Women's Work": the Gendered Economy of Film Criticism in Britain, 1945-65. Historical Journal of Film, Radio and Television 2011, 31(2), 191-209. Bell M. 'Quality', cinema and the 'superior woman' persona: Understanding women's film criticism in post-war Britain (1945-59). Women's History Review 2010, 19(5), 703-719. Thanks so much for this, Adrian! I don't know the work of Bell or Selfe. It provides a history, an anthology and bio-bibliographical entries on French critics. Hi Girish. Thanks for this fascinating post. I did my doctoral work in this area, focusing specifically on the films of the British New Wave and how they were received by both Movie and Sight and Sound. This work was later published as The British New Wave: A Certain Tendency? (Manchester University Press, 2006). Hi Barney, I had no idea! Thank you for letting me know; I will get your book right away. Thank you, Samuel, I didn't know about the Ciment/Zimmer book either. I moved to Paris about a year ago, and two of the friends I've made here are both (!) writing their doctoral thesis about Serge Daney. Haven't had a chance to look at their work yet, but one of them went through the *whole* Libération archive for the years Daney worked there to be able to check his editorship of the culture pages in context; collections give us his articles, but actually they were often part of a bigger ensemble: introductions to debates on a theme, op-eds which were contradicted by someone else etc. Probably the country I can think of with the biggest discrepancy between what we know of the riches of their cinema and what we don't know of the riches of their criticism is Italy. Adriano Apra has a pretty great website, but other than that I just don't know where to start. Excellent post, Comrade ! In French, I can richly recommend Antoine de Baecque's CINEPHILIA: INVENTION OF A REGARD, HISTORY OF A CULTURE, which gives a fairly even-handed account of the various tendencies in the French scene 1944-1968, and gives special chapters to some figures not often discussed, such as Positif's Roger Tailleur, and the Brechtian Bernard Dort. 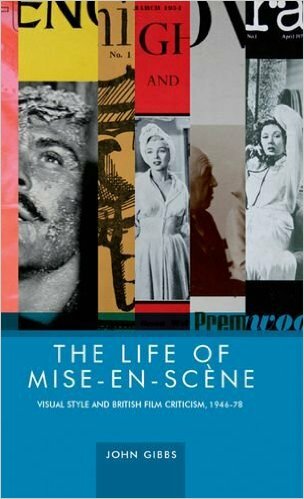 A couple of points: (1) I would second Samuel's recommendation; Michel Ciment & Jacques Zimmer (eds), La critique de cinéma en France (Paris: Ramsay, 1997) is an excellent and very useful book. (2) On the subject of James Hillier's Cahiers collections, I just accessed today a really excellent, if mixed (and ancient) review of the first two volumes by Dudley Andrew in Camera Obscura called "Historical Critique and History as Criticism". I'm sorry that I can't cite either the issue or the date; this was furnished to me by a Richard MacDonald, a British academic working on the history of British film criticism, after we spent about an hour conversing (mainly) about my stint at the Monthly Film Bulletin in the mid-1970s. Part of the thrust of Dudley's criticism is that Hillier's volumes were edited in order to service the "narcissism" of scholars in the present interested mainly in the concerns of the present, without enough historical context that goes beyond cinephilia. To this I would add (as I added to Richard) there's a serious eliding of 50s and 60s criticism (including Bazin's) as journalism in the interest of making it all more academically "usable". P.S. Thanks for your enticing summary of the Gibbs book, Girish, which I was sorry to discover is as high-priced (or just about) as Adrian's. Which reminds me that one of my key points during my (Skype) conversation with Richard MacDonald is that Penelope Houston's Sight and Sound has been unfairly maligned for its tendency towards pluralism and its dependence (for almost a third of its contents, at least while I was on the staff) on being open to unsolicited articles by outside contributors, rather than adopt any party lines or positions a la Movie or Screen. We have to remember that people like Gil Perez and even Durgnat published some of their first articles in its pages. Adrian, I would not be so enthusiastic as you are regarding Antoine de Baecque's book. In general, he is not always reliable (to say the least) in his research and often relies on secondary sources rather than primary ones, without enough fact-checking (this comes from several things I noted, either in this book or especially in the Godard bio). So approach with caution. Plus I would hardly call "Cinéphilie, l'invention d'un regard" "even-handed": even with the chapters on Tailleur and Dort, I think it is still quite "Cahiers"-leaning. “The Critical Question: Sight and Sound’s Postwar Consolidation of Liberal Taste.” Screen 54, no. 2 (2013): 194-217. The Permanent Crisis of Film Criticism: The Anxiety of Authority. Amsterdam: Amsterdam University Press, 2015. Correction: it's the introduction of the book that is available as OA. Thank you, all, for these helpful comments! It is very interesting to hear a different perspective on 1950s Sight and Sound. And thank you also for taking the time to provide me with citations: I look forward to reading all this work that I was not aware of! Nathan, I'm curious about the work of your friends who are writing dissertations on Serge Daney. Perhaps you could drop me an email? I'd love to hear more--and chat with you about your Paris cinema experience. I was just wondering. Where on facebook does one access the more active filmic discussions. Thank you and much appreciated. Remy, the discussions occur on the personal FB pages of critics and scholars. I'm taking a little FB break myself, and should be back before too long.